I have often had a hankering to go there and dive or climb having seen it from the air… but after watching the programme, I can now see why they are possibly the most “interesting” set of 1 pointers in the British Isles. I wonder who will be first to activate any of them, especially Stac Lee and Stac an Armin off Boreray? Aargh! Was looking forward to that programme, and forgot all about it. I will keep an eye out for any repeats on the BBC network. Over to you Peter ON3WAB! Yes - I watched it, quite fascinating ! I think access is rather difficult, I know several activation attempts have failed because they were unable to land by boat - best option I reckon is to get somebody with a helicopter to get hooked on SOTA ! Went there a couple of times in my army days but never took any radio gear - in fact I probably didn`t have my license back then. Saw a sheep fly past the first floor window when it was “blowing up” a bit. Some guys I know were going there this summer with HF and VHF gear. SOTA activation on 2m,40,60m was on the schedule, at least for St. Kilda but not the sea stacks. Unfortunately, that expedition is not going ahead now. If you follow the link for the company that the BBC were obviously using… this lot do day trips with a 3 hour stopover… probably enough for a quickie activation on Hirta. The program is featured on BBC iPlayer - http://www.bbc.co.uk/iplayer/ - so those of us that missed it can watch it. I just hope the sheep Steve referred to isn’t shown - his comment alone got me into fits of laughter! Fortunately I wasn’t drinking at the time. Anyone know If you need XP / Vista for BBC IPlayer ? I can download the .exe, but Windows 2000 refuses to run it saying it is not a Win32 Application. So it says XP and Vista only. That may be out of date info Andy as it now works fine with Firefox. Which at first it didn’t. I use Windows 2000 Pro and so watch iPlayer while connected online. You don’t have to download the files - they are rather large anyway and can take quite a time to download. Okay downloads are better quality, but so what… it serves me right for missing it first time around! I think you’ll find it didn’t work in Firefox if Firefox said it was Firefox. If you got the user agent to report Firefox was some version of IE then it worked. Just the BBC being billg’s lackeys and they dropped it on receipt of numerous complaints. EDIT: No it appears it was more than user agent stuff but the BBC are still billg’s lackeys! Having been lucky enough to have been there this time last year (to the day tomorrow) with a group of geocaching friends (and Helen) I can say it is well worth the trouble of getting there! The first of these is the official website, the second the boat (Orca) we used run by a very friendly skipper called Angus. We had nearly 6 hours on the island exploring the village and the surrounding area and a further hour cruising around the stacs looking at all the gannets, puffins, dolphins and seals. Unfortunately I did not have the SOTAing bug although I did think about it. Having said that the cloud level was very low and we were advised by the National Trust for Scotland warden not to go beyond the village. Having several fell walkers and all of us with GPSr and mapping, a group of us still went off to the trig point; she only “advised” us not to go. Even though there was no view it was amazing and atmospheric; we would have felt cheated had it been fine weather! These were the conditions that the locals had to live with. While it is possible to activate the main hill Conachair with permission from NTS (and also maybe the MoD) it is unlikely that permission would be granted for any of the other stacs and hills due to the wildlife and National Heritage status. Permission had to be sought from NTS to leave a geocache on the main island. They wanted to make sure it was on one of the new buildings so as not to disturb the main historical site. I would still recommend to anyone to go there though, radio or not, just for the experience. It doesn’t occur with IE6 Andy. Take a look at my post in the thread. Maybe Firefox isn’t as good as IE6… in one respect only of course. Andy, I did eventually find the information that tells you the Downloads are only available for XP/Vista, but it did take some searching. I’ve watched the program now - must try to remember the next one. Due to many conflicting time pressures this summer it looks like we wont be having a family holiday which means I’ve been looking at doing some SI summits. Ignoring all the sea stacks because I’m not a climber, the “big one” of SI summits is SI-098 Conachair on St. Kilda. simply due to its remoteness. 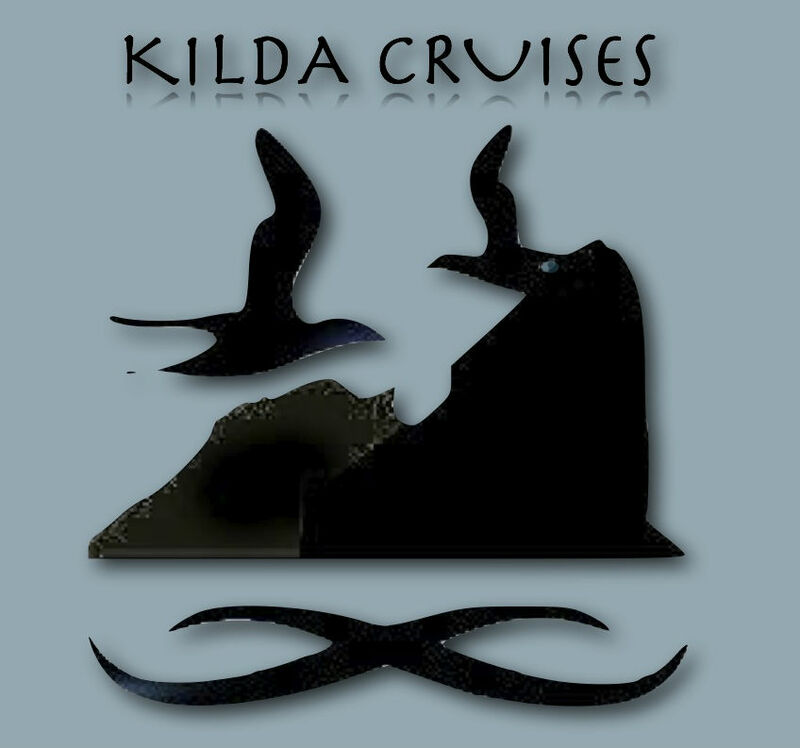 There are bigger summits of course, but there is something about St. Kilda. The summit is about 1hr10 walk from the pier. Allowing 3hrs total for SOTA gives you about 50mins operating. I’d certainly want to have a look at few other things before getting back on the boat. So far, apart from the cost of the boat out it’s not that unreasonable. The only problem is getting to Leverborough. The St. Kilda trip leaves 8am so that means getting to Harris the day before and staying in a B&B. There’s some nice looking places advertising and around £25/night sees you comfortable. The ferry from Ullapool to Stornoway is just under 4hrs and Ullapool is a 6hr drive from here. 2.5hrs for the bus from Stornoway to Leverborough. You’d need to stay another night before getting the ferry back. So thats £85 petrol to Ullapool, £50 B&B, £160 for St. Kilda, £30 for the ferry, £20 bus fares, £20 food comes to £365 and the best part of 3days, most moving just to get one point. Yikes! That’s a lot of moulah for a single point. OK it’s a pretty spectacular point (the cliffs on the North end of Conachair drop straight down 1400ft into the sea) but there’s a lot to organise for everything to flow smoothly. And the one thing you cannot organise is the weather in this part of the Atlantic. Part 2 AT 21:00 on BBC1 tonight. At the end of part 2, unless I misheard (there’s a good chance of that!) they said that Part 3 would be tonight at 19:30 - is that right?